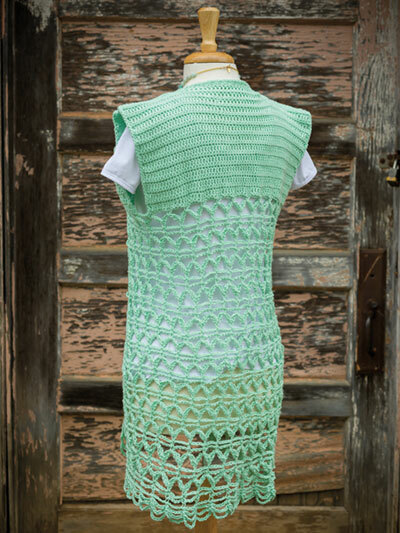 This easy-to-stitch vest is great year-round! 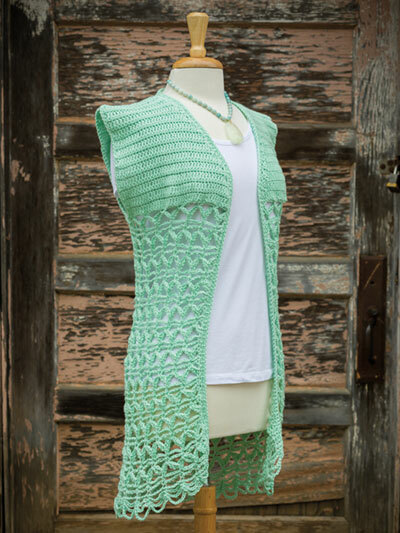 This design is made from the bottom up using a light-weight yarn. Perfect for layering over a sleeveless top for summer or long sleeves for colder weather. Size: S (M, L, XL).